Golden Week is in full swing, and with it some of the best weather that we’ll likely see in Shanghai all year. 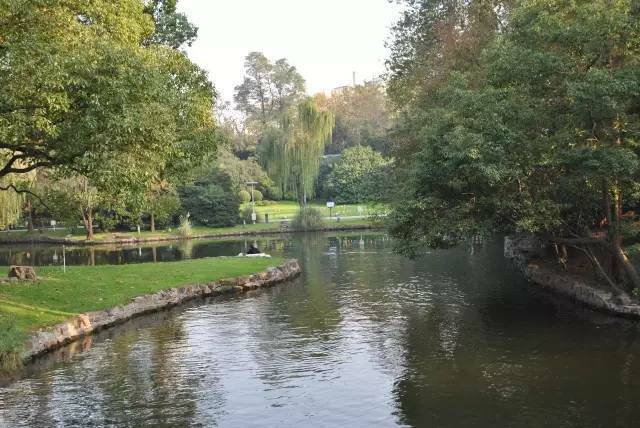 It’s that sweet spot between the sweltering summer and the punishingly cold winter, and it’s time to take use of the down time to hit one of Shanghai’s many, many parks. Don’t forget, we’ll deliver our full range of wines, beers and cocktail sets to wherever you are – including any of the parks listed below. Just remember to leave a note asking for glasses if you need ’em. One of Shanghai’s largest parks and definitely the first spot most think of when it comes to green spaces in Pudong. Plenty of water, too, which makes for ample opportunities for romantic riverside vibes if you’re in that sort of mood. It’s right by the Shanghai Science and Technology museum, which has its own metro stop and is itself surrounded by pleasant little pockets of green, (some of which might even enable more private picnicking than the park itself). 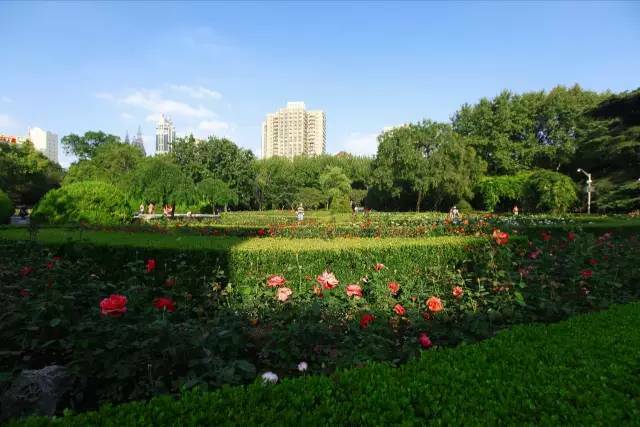 A small oasis of green out in Shanghai’s wild west, aka Hongqiao, the New Hongqiao Centre Garden is an off-the-beaten path treasure and probably a blessing for those in the area looking for a bit of tranquility in which to take advantage of the sunlight. It’s all based around a central lake and is great for that nature-in-the-heart-of-the-city atmosphere; you still can’t escape the views of skyscrapers from inside, but they take on a different feel when viewed from a picnic blanket, wine in hand. 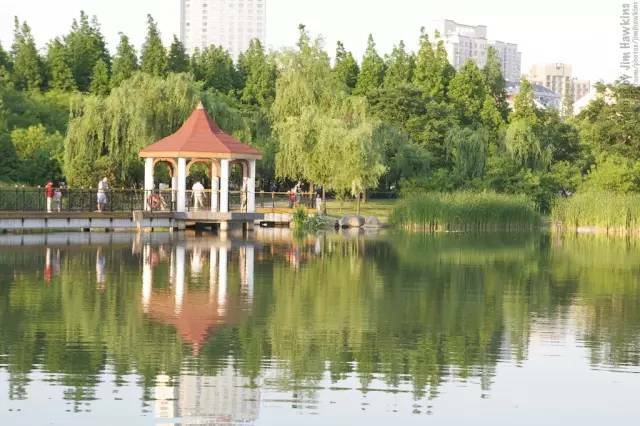 Gongqing Forest Park is a real hidden gem; and when we say hidden, we mean hidden. To get there you have to ride Line 8 all the way to its Northern terminus and catch a really quick cab. 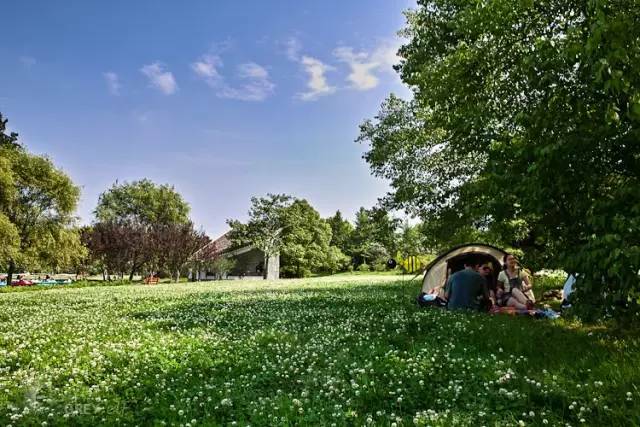 You’ll be rewarded for your odyssey with one of Shanghai’s largest undiscovered parks which holds enough space for different areas including forests, lakes, paths that go all the way to the Huangpu river and, yes, big expanses of grass perfect for picnics. Bear in mind that this is Shanghai, so there’ll still be some weekend crowds despite its out of the way location and its huge size. One to hit if you want a picnic that’s less “relaxing getaway” and more “take in the local culture”. 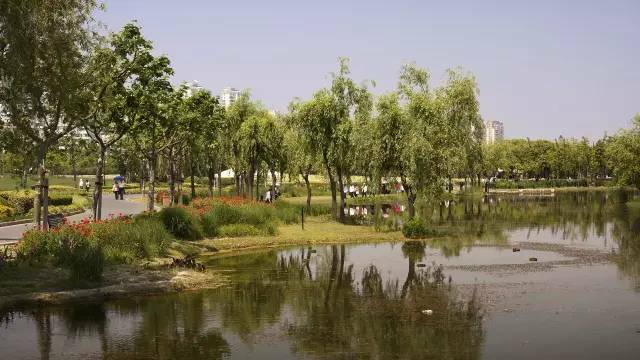 Fuxing Park lies in the heart of Xuhui and as such is usually packed with local families flying kites, ayi dance troupes and old dudes practicing tai chi. The parks crowded pathways surround expanses of grass that, if you can find a space, provide a chance to relax and absorb a real taste of downtown Shanghai. Which wine will make even better, obviously. It’s nice and easy to get to as well. Head to Xintiandi metro station, go east down Fuxing Lu and you’re there in minutes. This one is kind of like Fuxing Park in the sense that it’s in the thick of a busy area and has the bustling atmosphere to match. But, as with Zhongshan, this is part of the fun and gives it a real community feel; you’ll often catch live traditional Chinese music being played here, and the park has a particularly family-friendly feel to it too. Better for a day out with the kids than for a romantic summer date, then, but it’s still a great place to spend a summer afternoon. This one has it’s own metro station named after it on Lines 2, 3 and 4, so there’s no excuse for not finding it. 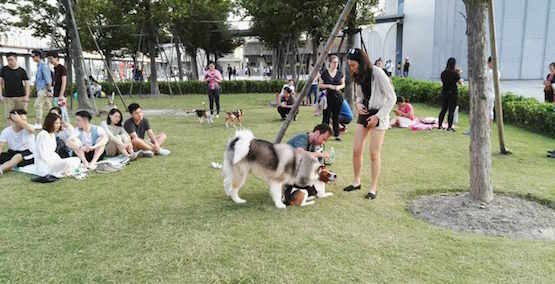 The top-spot for Shanghai-ers in the know looking for green space to relax, the riverside parks down at the West Bund – actually far further south than what we think of as The Bund itself – are some of the best urban park spaces in town. You get pleasant river views as well as multiple local communities doing everything from acro-yoga to slacklining, plus its dog-friendly! You’re also a stones throw away from cultural touchstones like the Long Museum and the West Bund Art Center, two of the finest cultural institutions in the city. What are you waiting for? Time to get out into the sun and enjoy some green space. We’ll even take care of the drinks. 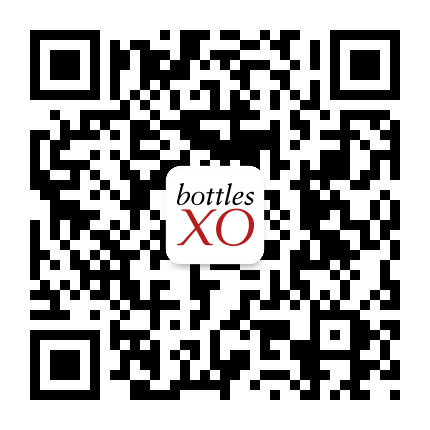 Click here to get a range of wines, craft beers, and cocktail sets delivered chilled and ready to drink wherever you are. Includng the park.